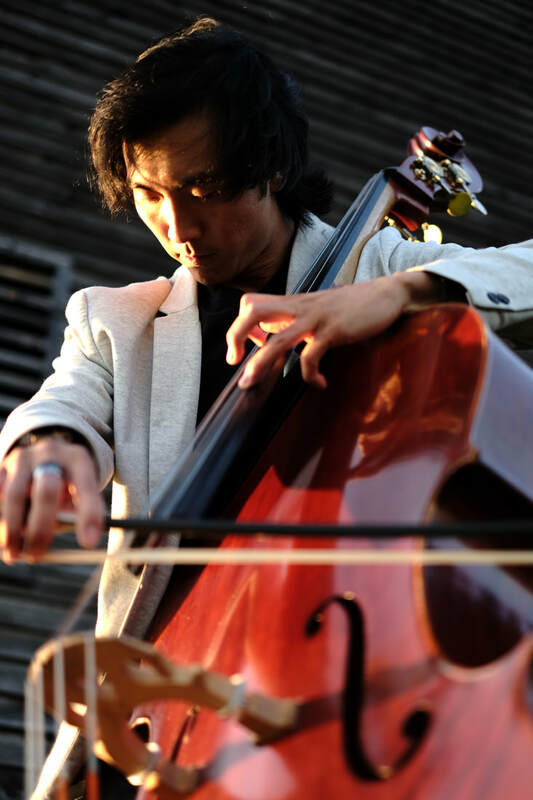 Yoshiaki Horiguchi has been acclaimed by the Baltimore Sun for his ability to perform with a “dazzling display of dexterity and panache.” Yoshi is an active double bassist, pedagogue, and educator in the DC-Baltimore area. His endeavors span across a broad spectrum of genres having performed with the National Philharmonic, Baltimore Boom Bap Society, Hungry Monks Swing Band, Classical Revolution, Great Noise Ensemble and more. Yoshi is currently the double bassist in Trio Jinx, the genre-crossing, classical-core trio. In addition to being an active performer, Yoshi is an educator, pedagogue, and adjudicator. He has served as the low-strings department chair for the Baltimore Symphony’s, El Sistema inspired, ORCHkids program, faculty for Carroll Community College, faculty for the Peabody Preparatory, and faculty for American Music Camps. Yoshi is also certified in the Mark O’Connor string method and has studied the Suzuki string method. Yoshi graduated as a Linehan Artist Scholar at the University of Maryland, Baltimore County where he won the 2011 concerto competition. He then graduated as an Aegon USA scholar at the Peabody Conservatory at the Johns Hopkins University for his Master’s Degree in double bass performance and pedagogy and he is currently pursuing his Doctorate of Musical Arts at Peabody. Yoshi proudly hails from the studios of Ed Malaga, Jeff Koczela, Laura Ruas, Paul DeNola, and Paul Johnson. In his free time, Yoshi enjoys wearing primary colors, playing ultimate Frisbee, swing dancing, and expanding his sock collection.